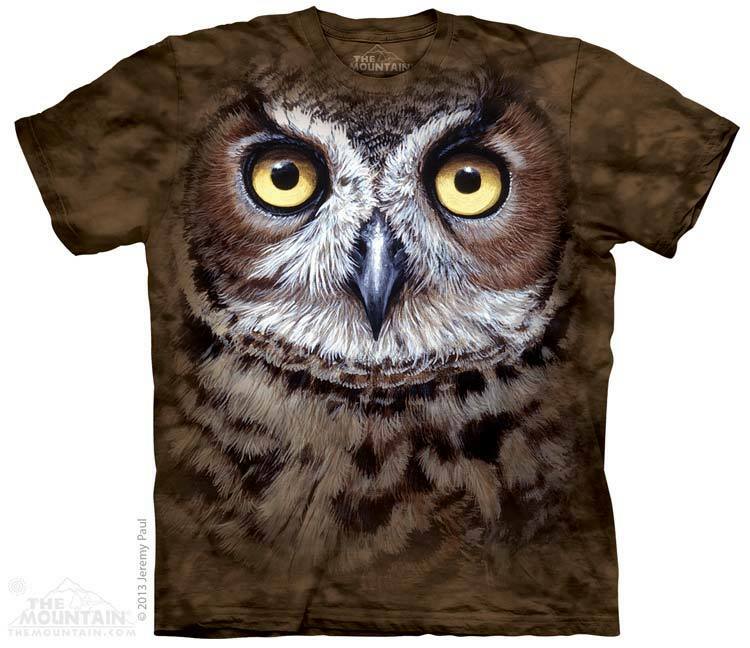 Great Horned Owl Head T-shirt is a Big Face design by Jeremy Paul. The design is a real hoot! 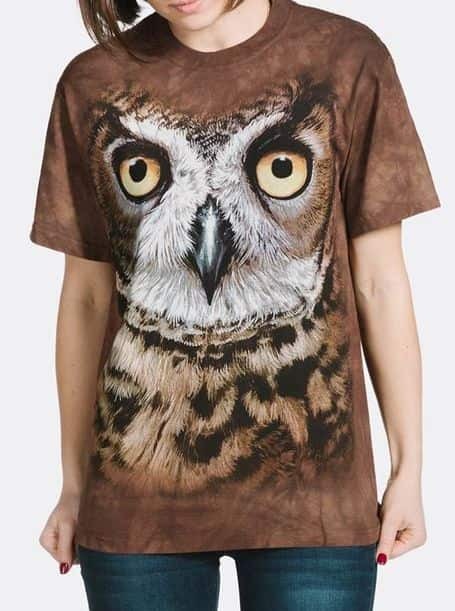 It features the screen printed image of a horned owl. Artist Corner: UK artist Jeremy Paul had a successful career in Marine Biology before becoming a professional wildlife artist. He travelled extensively and while living in Spain and parts of Scotland and remote areas of the British Isles he started painting the abundant wildlife and wilderness he experienced. WOW!WOW!WOW! were my husband's words. He loves his new t-shirt. 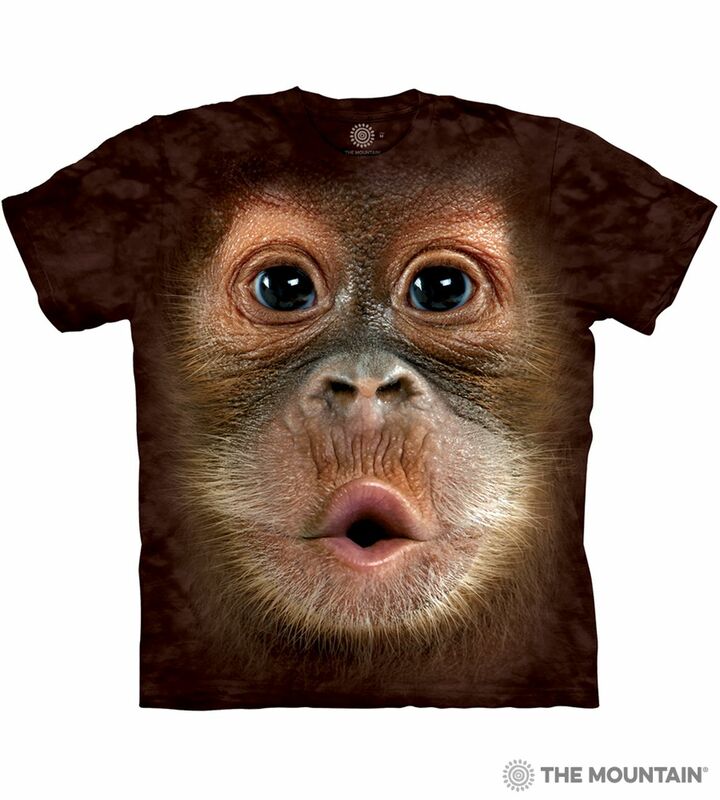 Great design, looks great close up and from a distance, good quality of material, comfy to wear and washes well. The USA size seems to be a bit longer than UK sizes but that's fine. It is letter box friendly too so no waiting in for the posty. Arrived within the specified time. I've bought a few The Mountain t-shirts from Tam's and am always very pleased with the experience. Thank you.